With This POWERFUL & EASY PDF Creator! View Screenshots of PDF-Creator in ACTION! Want to see PDF-Creator in action? 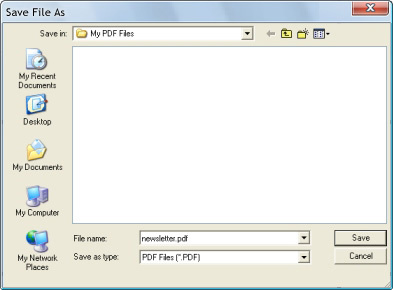 PDF-Creator is the world's simplest PDF creator. It enables you to create PDF files from virtually any application, simply by clicking File > Print. 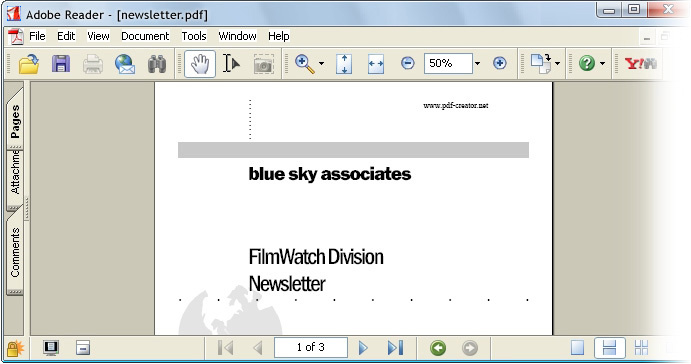 Here are a few screenshots showing PDF-Creator in action, or you can click here to watch the video. Open the file you wish to convert to a PDF file. This could be a Word document, or a Web page, or an Excel spreadsheet, or an e-mail. It doesn't matter... just get it in front of you. When you're ready, click on File and then Print. When selecting a printer, choose the "PDF-Creator" printer... this is a special "virtual printer" that converts your file into a PDF. Once the "printing" has started, you'll be prompted for a PDF filename. Choose a filename and click Save. And that's it. Within a few seconds, the "printing" finishes and your brand new PDF file opens in Adobe Acrobat Reader. You can now send this file by e-mail, upload it to your Web site or save it to CD. 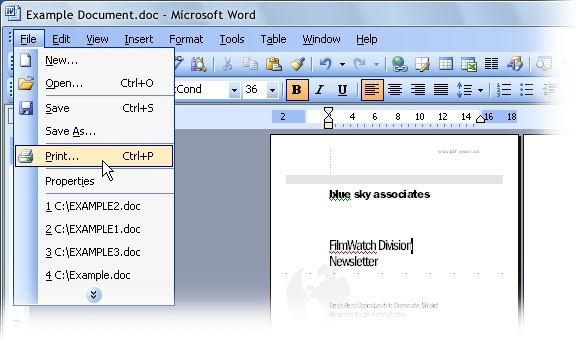 Now your file is in PDF format, it can be read by ANYONE, ANYWHERE and on ANY COMPUTER! Looking to set advanced options? PDF-Creator also enables you to set more advanced options, such as password protection, print protection and copy protection. To do this, simply click the "Options" button when printing your PDF file - and tick the features you'd like to add. It's literally that easy! Want to see PDF-Creator in action LIVE? Click HERE to watch the PDF-Creator video. ... at the following OFFER PRICES! TOTALLY UNLIMITED VERSION -- INSTANT DOWNLOAD! INCLUDES FREE SHIPPING TO ANYWHERE IN THE WORLD! Questions? Click HERE to contact our team.